AIRSHOW NEWS: 2015 Bournemouth Air Festival Takes OFF! UK’s leading seaside resort gets ready for an incredible 4-day summer extravaganza of land, sea and air display entertainment… it’s more than just an airshow! 26th March 2015: The 2015 Bournemouth Air Festival, supported by Mouchel, returns for its 8th year this August with a staggering amount of support from the Armed Forces and three exciting new Night Air music evenings. As the only summer destination for the UK’s best aviation Bournemouth will be hosting 4-days of Red Arrows displays, alongside the mighty Typhoon and Hawk Role Demo – a first for the event. Supported with a multitude of Royal Navy assets, Pier to Pier county show trading stalls and Wave105 staging three nights of music, including Proms on the Beach, the best chart acts and a celebration of dance music, the festival is more than an airshow! If last year was big, the presence of Admiral Sir George Michael Zambellas, First Sea Lord & Chief of the Naval Staff of the Royal Navy has confirmed the Navy’s ongoing commitment to the event with land, sea and air assets. Hugely taken by what he saw the Royal Navy are planning to bring four warships, a large amphibious command ship complete with helicopters, Royal Marines and landing craft, Royal Navy Black Cats helicopter display team and Commando helicopters. With the famous amphibious beach assault demonstrations and beachfront Royal Navy Village, all bolstered tremendously by the world class music from the Royal Marines Band. With a full allocation of RAF display aircraft, the resort will be is set to welcome back the Red Arrows on ALL 4 days of the Festival with the Battle of Britain Memorial Flight, Tutor and Hawk T2 Role Demo Team and the Typhoon displaying Friday, Saturday and Sunday. The onshore interactive Forces village areas, the Royal Navy with the Army and Royal Marines, and the RAF located in the Waterfront at Pier Approach area, will give Festival goers a chance to find out more about each Force as well as talk to those with first-hand experience, check out displays, speak to the Careers teams, charities and have a chance to try out military equipment. Setting Bournemouth Air Festival apart from the other air events is the stunning Night Air programme. Supported by the Patrons 100 Club members, and their Ambassador local hotelier David Bailey, they will again be funding three nights of evening air displays as well as supporting this year’s Air Festival charities, The Royal Navy Royal Marines Charity, (ABF) The Soldiers Charity and the RAF Benevolent Fund. 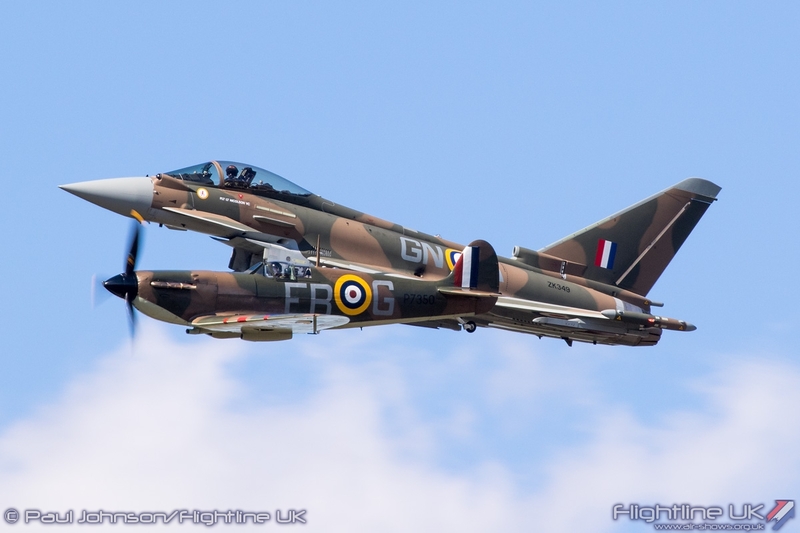 With announcements of civilian aircraft participation still to come, which already includes SallyB, The Tigers Parachute Display Team, The Blades and Twister Duo as well as the Wave105 line up 2015 Air Festival is certainly set to be the event of the summer!